With the power to shape our perceptions of the world, every television station presents its own stories, its own world. 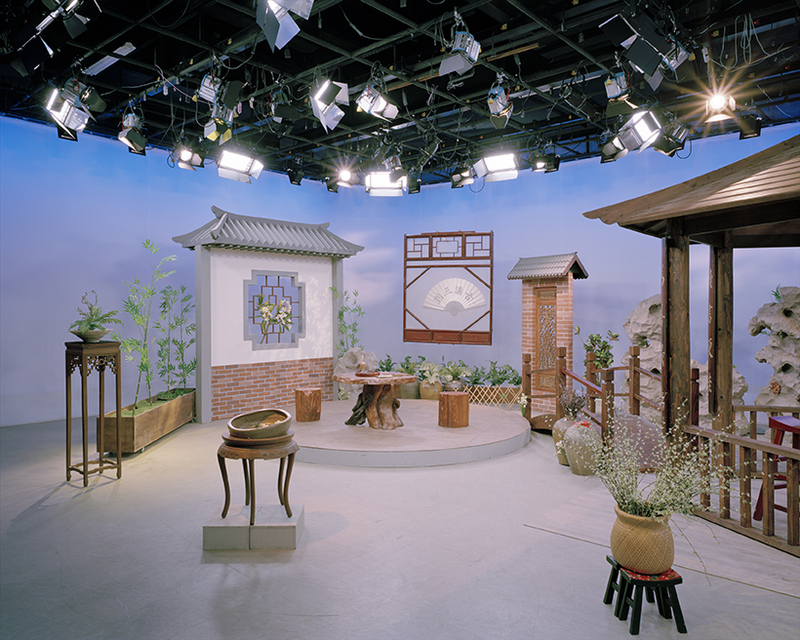 At the same time, a television studio is a place where an enormous amount of energy converges from many different corners of the world. Television cameras witness conflicts, wars, natural, and man-made disasters – historical events focused by the television studio. This energy is then collectively projected into the sky to reach global audiences. 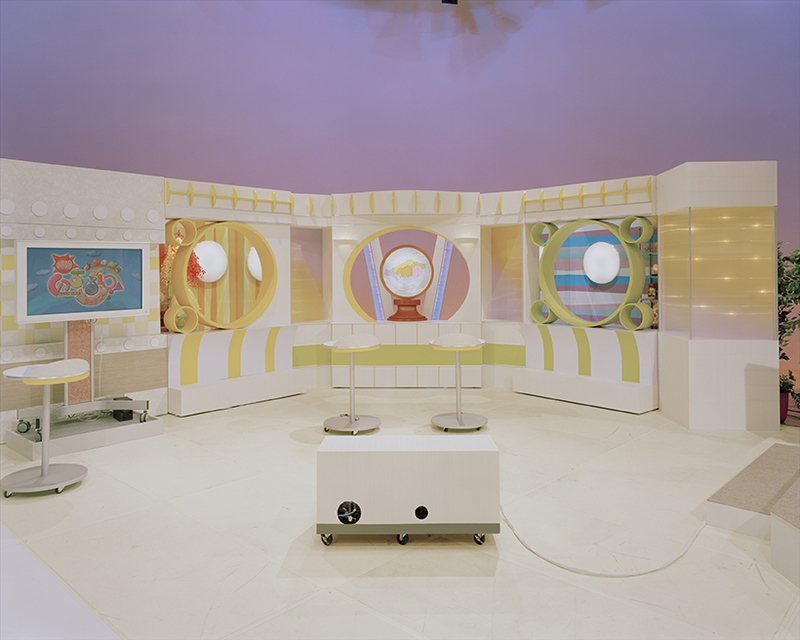 The empty television studios are left exactly as they are for on-air action, including the lighting set-ups – without the presence of news anchors, celebrity guests, or studio crews. 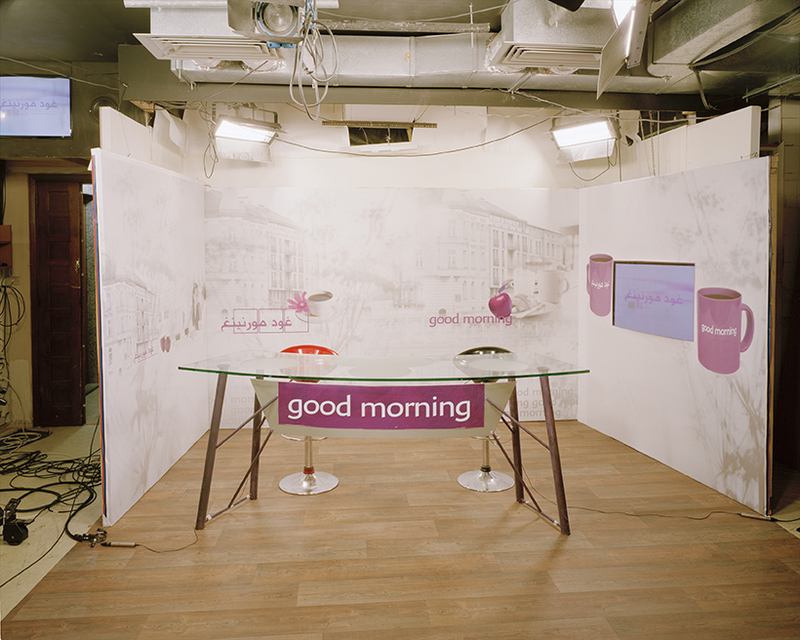 These still images of studios, muted and deprived of its function, contradict the expected familiarity on our television screens. Shigeru Takato (b. 1972, Japan) pursued a Fine Arts (Photography) degree at Elam School of fine Arts in New Zealand in 2002. He attended the State Art Academy Düsseldorf Germany as a DAAD scholarship holder and completed a postgraduate degree at Academy of Media Arts Cologne Germany in 2010. He was selected as a finalist of the reGeneration travelling exhibition organised by Musée de l’Elysée in Switzerland in 2005, and was selected for “gute aussichten – Young German Photography” in 2010. He now lives and works in Cologne Germany.